This is a very sturdy cabinet that can be used as a dresser. We stored clothes for 2 children in it. Tons of space. 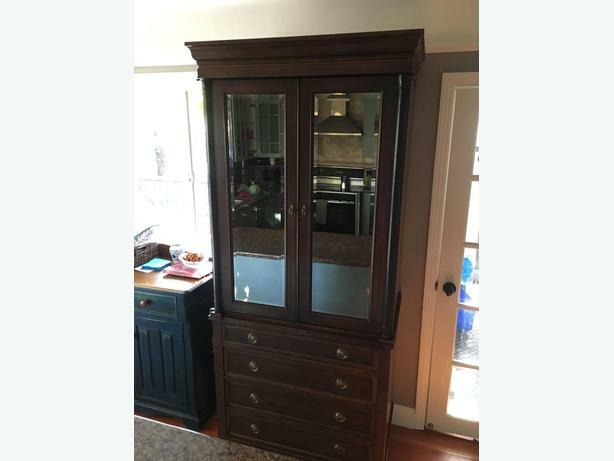 Very heavy and well built, with high quality mirrored doors.